Rosina Wachtmeister is an awesome Austrian artist who is well known for her Brazilian inspired art and sculptures. I discovered her work last fall while touring around town. 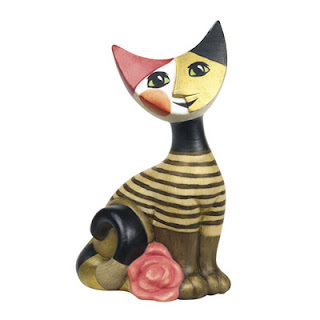 I have been wanting to adopt an actual Rosina sculpture for quite some time. I am getting closer. I can sense them near! Meeoooow! Rosina has teamed up with Goebel making some quality craftsmanship come to life, with inspiration from her paintings. 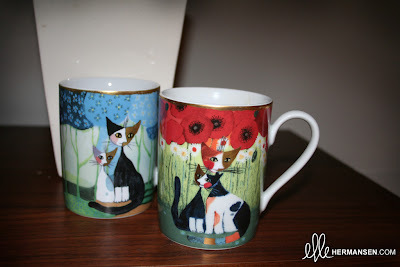 Key pieces range from vases to teapots (melts!) to über cute plushes! 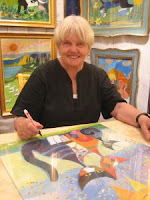 Rosina Wachtmeister, keep up that amazing work!